Darwin's grandfather, invented the first factory and created gas lighting, among other achievements. Birmingham was heavily bombed in the Second World War, and today has rebuilt with a cultural twist. A branch of the Royal Ballet has set up shop, and the City of Birmingham Symphony Orchestra has a lavish new concert hall. While not known for its spectacular monuments, this West Midlands city has some high-quality art galleries, like the collection of pre-Raphaelite works at the Barber Institute of Fine Arts. Walking along the canals from Brindleyplace to the Mailbox, indulging in great shopping, or checking out the Cadbury chocolate factory are three more attractions. 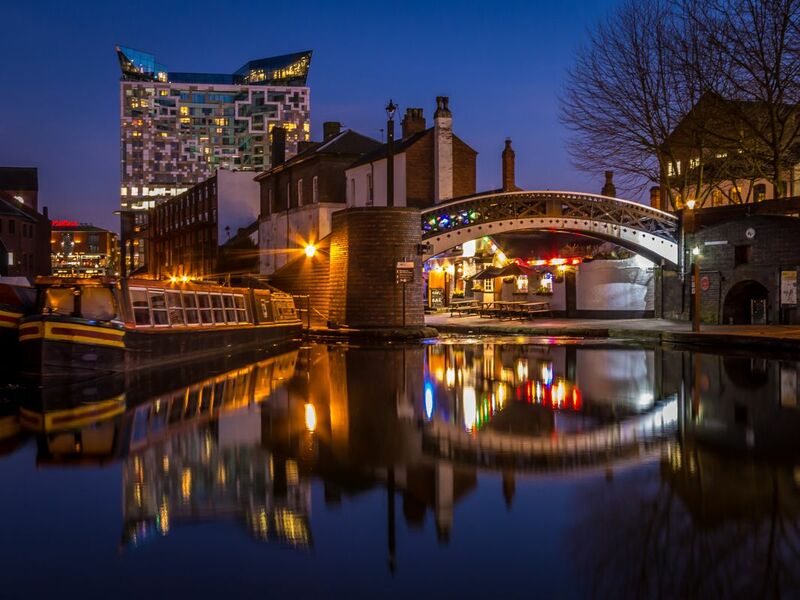 Brum is alive and well after dark, with some of Britain's best clubbing and lots of live music venues, and great restaurants in the Balti Triangle. The city center has a good selection of reasonably priced hotels and luxury options, as well as friendly hostels. The Bullring and some of the attractions are great, but the city everywhere else is pretty boring and drab, which is a real shame considering the sheer size of the city. Awful city, just awful. It's dull, grey, drab and boring. The NEC, so long touted as it's crown jewel, is really miserable too. I suppose it doesn't help that I was there for work, but even in the evening I found nothing to warrant a return. Yuck. Birmingham is great for shopping and great for jewelery, haven't had to use any local hotels or accomodation, as was commuting from Lichfield, it's a bit too busy for me and a bit grubby too. This city has changed hugely in the last 10 years, it used to feel a little run down, but now there's lots to see and do, plenty of places to eat and some great nightlife. Be aware that Broad Street at night is full of student bars, so it's not the place for a quiet drink, try the many other areas of the city for that. city centre is great!!! The Boots showroom there is huge as is Marks and spencer. A visit to the chocolate factory is a must!!! !